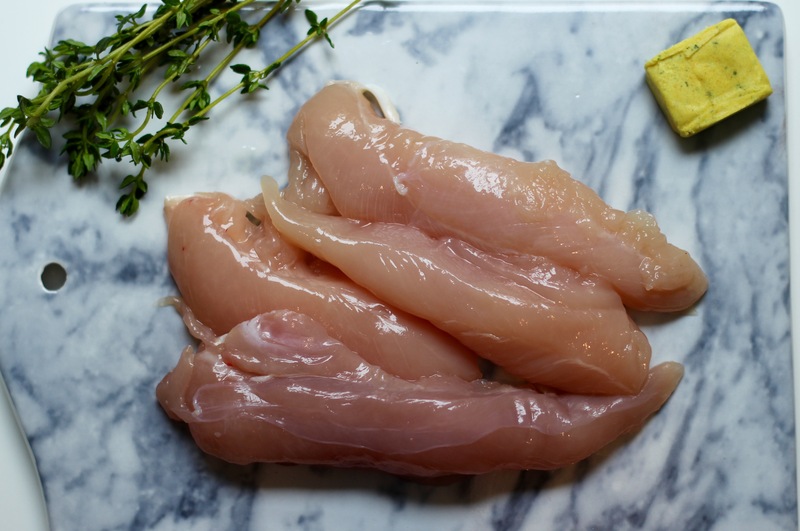 Lemon chicken is my go to recipe when I know I won’t have time later to knock up a nutritious meal from scratch, but I have a free half hour now. The children I look after devour this dinner in seconds. When they clamber into the car after school and ask ‘What’s for dinner?’ I’m guaranteed a happy response with chimes of ‘Yes! Lemon chicken’ coming form the back seats. 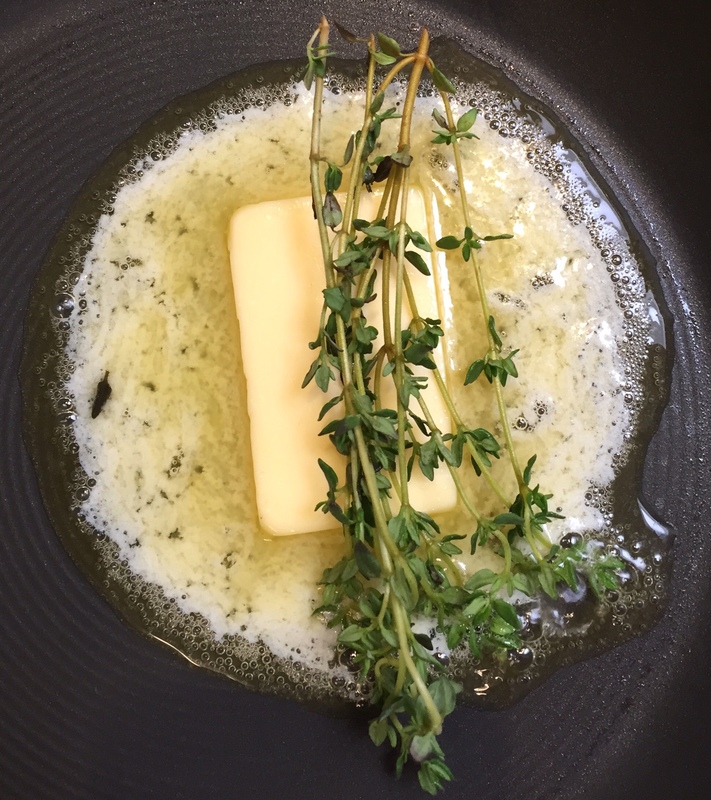 In a frying pan over a medium to high heat warm the butter, oil and thyme. (I like to keep my thyme leaves on their sticks so I can easily remove them once they have imparted their flavour, so as to avoid the eagle eye of the fussy eater spotting the leaves) When hot add your chicken and brown all over. Reduce the heat slightly and squeeze half the lemon over the chicken and crumble the stock cube into the juice. Remove the sticks of thyme, add the cream and stir to combine the lemon and stock. Finally add the rest of the lemon juice and cook for 15 minutes until the chicken is cooked through. 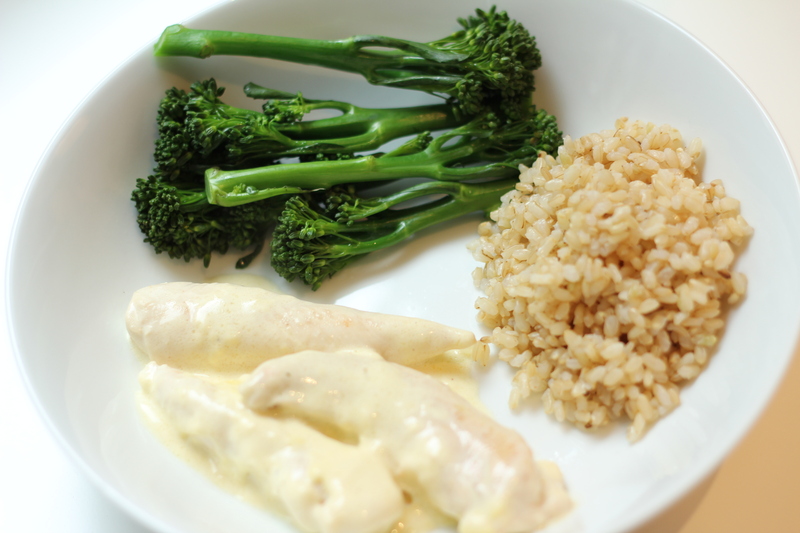 Here I served this with short grain rice and long stemmed broccoli. It’s also great with fresh tagliatelle and buttered leeks. As i said above, this is a great make ahead meal, I usually make this in the morning and reheat when we return from an activity and need dinner on the table ASAP.